Blue-flowered winner has a fragrance that gets more alluring as the sun sets. True blue All-America Selections winner has a fragrance that gets more alluring as the sun sets, filling your summer evenings with a heavenly hyacinth scent and notes of rose and honey. It’s a visual sensation too, with brilliant indigo 2" blooms that billow from baskets or patio containers, and are dramatic when planted en masse. 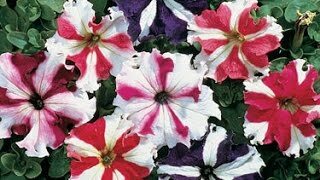 Petunia, Evening Scentsation Hybrid is rated 2.8 out of 5 by 8. Rated 3 out of 5 by Barb N from Not as beautiful as I expected Disappointed. Flimsy plant with small flowers. We had a very warm Summer, sometimes very hot. I kept them watered and after downpours, fed them since the rains throughly flushed the planters. Rated 1 out of 5 by Emmajune from Very disappointing I have been a Burpee customer for most of my life. I bought the garden ready plants .Put 3 in a hanging basket and 6 in my front annual beds .So very disappointed. The 6 in the beds have crawled along, not getting much bigger over this summer season. Spindly with few flowers. The hanging basket fared better, but still not as I hoped. I consider myself an avid, knowledgeable gardener of 50 + years, and know how to care for plants. This one was definitely not worth the money. I bought it for the fragrance which really isn't much better than any sweet smelling petunia. Won't order this one again. Rated 4 out of 5 by jd87 from beautiful! Like other reviewers, I had very poor germination. But the ones that made it are gorgeous! Mine are a deeper purple than the photo, though that could just be my monitor. I love the scent, the blooms are prolific, and the plants have grown quite large for petunias. I will be buying these again. Rated 3 out of 5 by Sher from Beautiful blooms I had a little better than 50% germination but all of them survived and they are beautiful! Love them. I do wish the germination and the aroma were better; the smell is not what I would expect from a petunia. I will try them again though, the blooms are so pretty. Rated 2 out of 5 by Lmali from Disappointing The pros: the blossoms are indeed huge and prolific and look gorgeous exploding over the side of a container or hanging basket. The cons: germination was extremely poor. I only had 20% germination, and when you only get 15 seeds for this price, that's ridiculous. (I'm extremely confident that it was an issue with the seeds themselves and not environmental factors because I started another type of petunia at the same time and in the exact same potting soil/place/light and had 93% germination.) The scent of the flowers, which was what induced me to pay so much for 15 seeds to begin with, is in no way what I would describe as "alluring" or "notes of rose and honey." In fact the kindest possible way I can describe the scent is that it smells like a funeral home. You know that heavy, overbearing, stale smell of decades of mixed bouquets? Yeah. That's what they smell like, and the smell carries a long way. My wife actually asked me to please move them because she couldn't stand the smell anymore. They are pretty, but without the promised smell they are in no way worth the asking price. If you want petunias, pick something more reasonably priced. Rated 5 out of 5 by MarkG from Beautiful blooms with a delightful fragrance! Last year, I had seen this petunia at a trial gardens, actually I had first noticed the wonderful perfume and followed my nose to them! 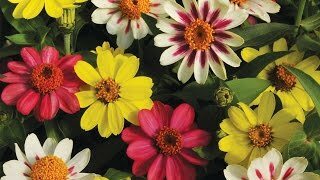 The blooms are of a very attractive color and the plant has a nice growing habit. I had sown them in the early part of March and all seeds planted had germinated. Rated 3 out of 5 by katiel from Petunia, Evening Scentsation 0 germination on the seeds I purchased. Very disappointed on this product. Rated 1 out of 5 by Jennp97 from Did not even sprout I bought these and not one sprouted. Very disappointed. This happened with every variety I purchased but one, 2 plants came up.